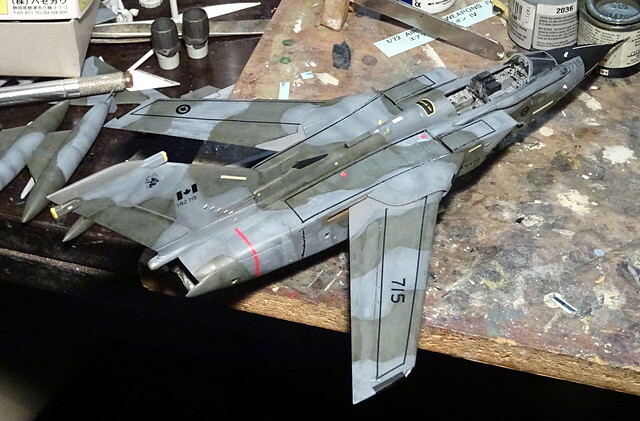 More detail work with decals and paint, and things start looking better. I tried to achieve a slightly sun-bleached finish (similar to the CT-133 posted above), and it worked out well - enhanced through some paint touch-ups here and there, too. Still looks somewhat British in this livery, but the almost all-black markings and stencils create an individual and different style. Quite happy with the result, even though the technical flaws still bug me. Final varnish coat coming soon, and maybe beauty pics next weekend. Still expecting that something vital falls off, though. Background and action pics from Canada following soon. Looking very good indeed. Perfect partner to my RCAF M2000C from years ago. Beautiful job on the camo!! Beauty pics soon to come - had a busy week and also did some other photo shooting, and the Tonka pics took some more editing effort than expected. 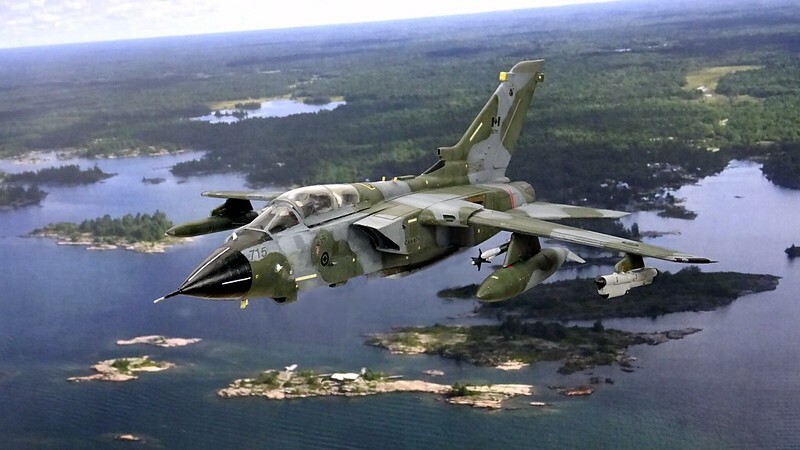 Here it is, a Canadian strike/recce Tonka, known as the CA-182. 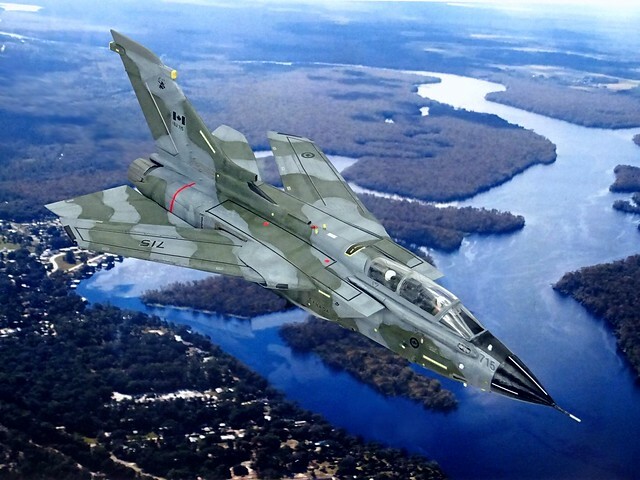 The Panavia Tornado was a family of twin-engine, variable-sweep wing multirole combat aircraft, which was jointly developed and manufactured by Italy, the United Kingdom, and West Germany. 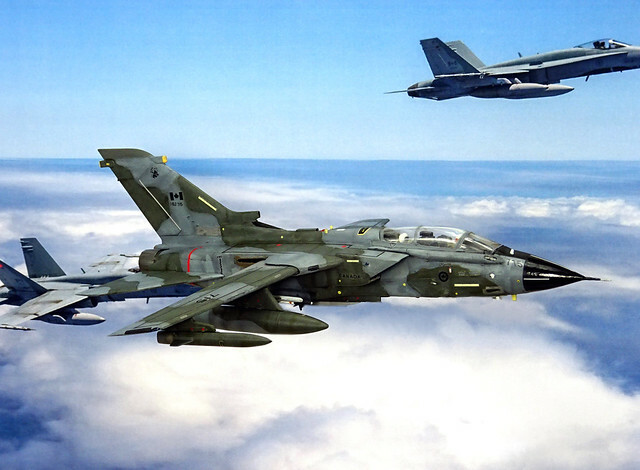 There were three primary Tornado variants: the Tornado IDS (interdictor/strike) fighter-bomber, the suppression of enemy air defences Tornado ECR (electronic combat/reconnaissance) and the Tornado ADV (air defence variant) interceptor aircraft. The Tornado underwent a long and protracted design phase with many international stakeholders and potential partners. 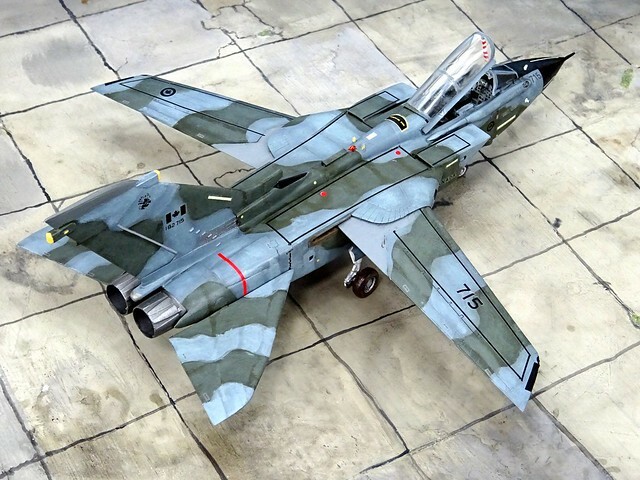 Eventually, it was developed and built by Panavia Aircraft GmbH, a tri-national consortium consisting of British Aerospace (previously British Aircraft Corporation), MBB of West Germany, and Aeritalia of Italy. This dedicated joint venture was later integrated into the DASA consortium, which became in 2000 the European Aeronautic Defence and Space Company (EADS) and since 2014 part of the Airbus SE. 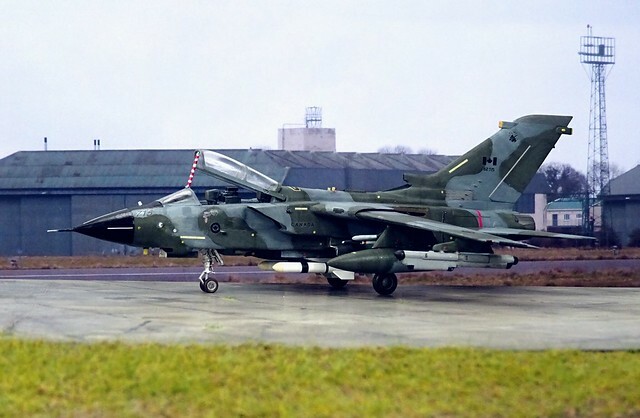 The Tornado IDS fighter bomber first flew on 14 August 1974 and was introduced into service in 1979–1980. 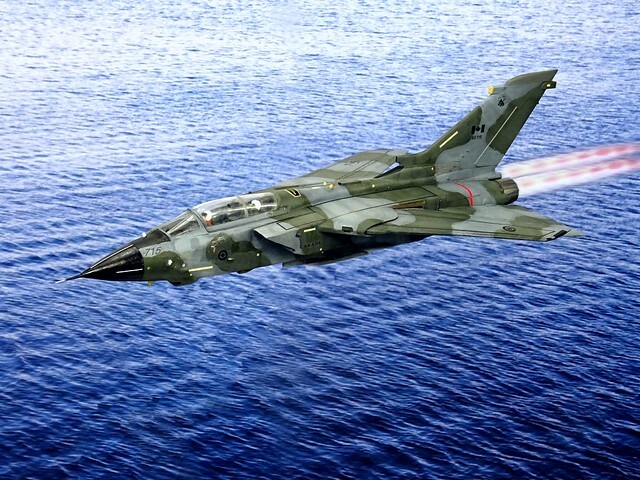 Due to its multirole design, it was able to replace several different fleets of aircraft in the adopting air forces, but because the Tornado was designed primarily for the European theatre of operations and a complex aircraft, export sales and foreign operators were few. 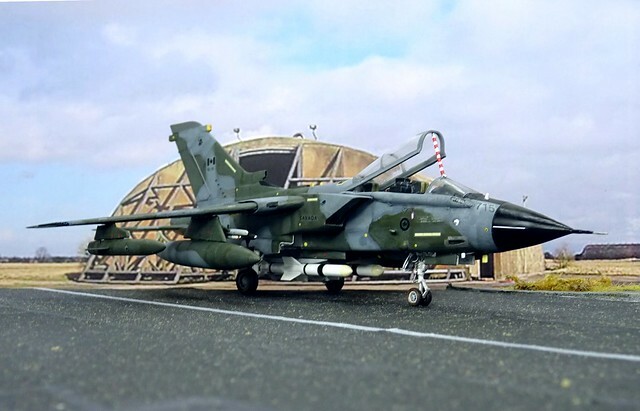 The first customer outside of the designers' countries became the Royal Saudi Air Force (RSAF), with orders for 48 IDS and 24 ADV model Tornados in 1985. 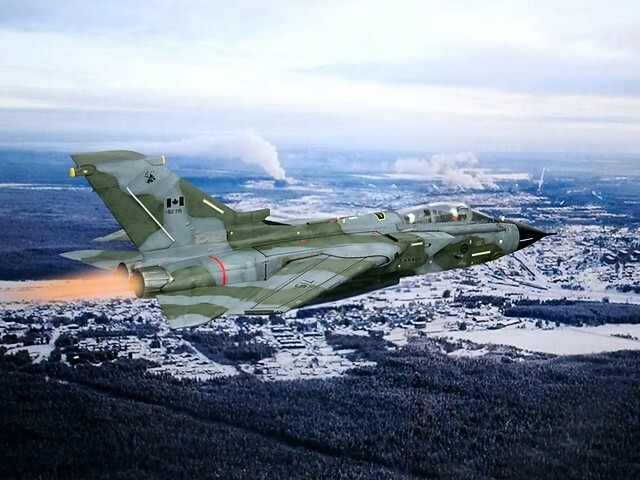 Another export customer became Canada a couple of years later – despite the fact that Canada had been part of the initial multi-national MRCA design team in the Sixties and retreated from the Tornado project due to escalating costs and contradictive. 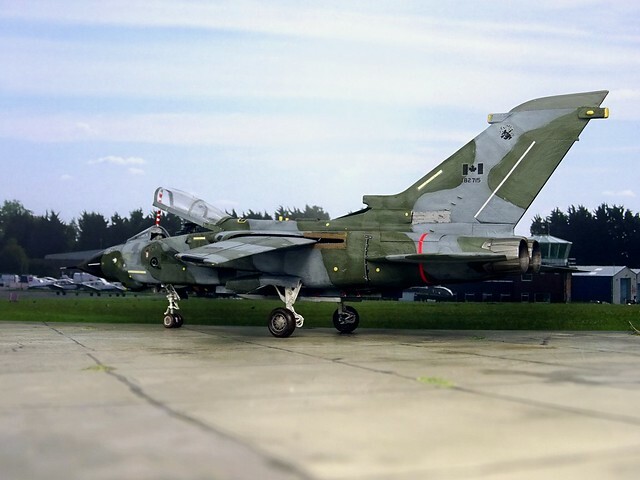 With the dissolution of the Soviet Union in 1991, the political situation in Western Europe had changed dramatically and Canada decided to retire its air force contingent (at that time primarily CF-188/F-18 Hornet fighters, which had been introduced in 1982) from Western-Germany, a move that resulted in the disbandment of several oversea units until 1993. 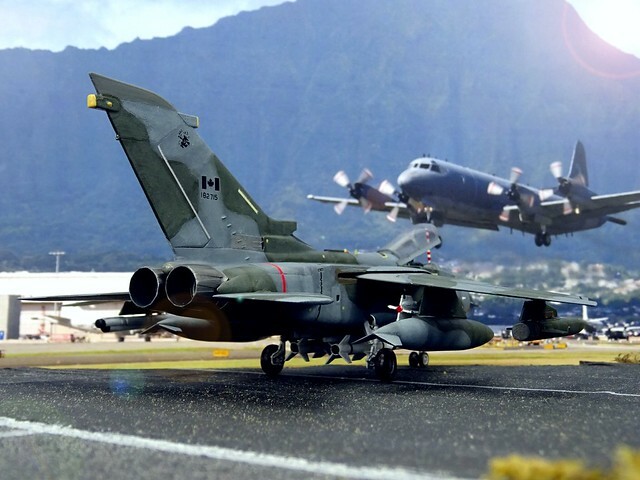 In the course of the resulting re-organization of the homeland defense the CF-188s were to operate as interceptors, defending Canadian airspace, while maritime defense and reconnaissance was to be taken over by a new, dedicated strike aircraft type. 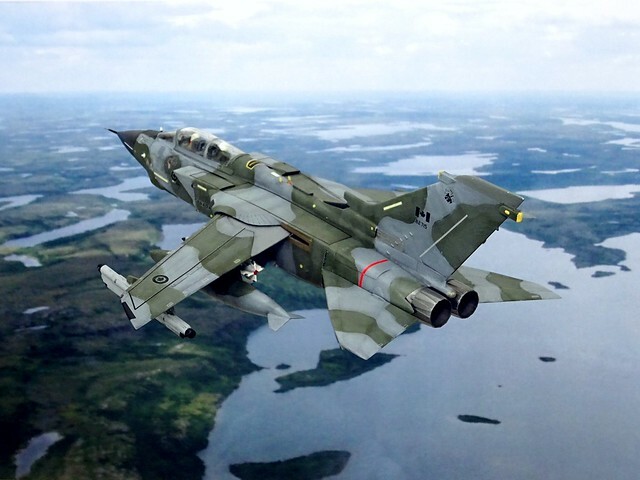 Among the contenders were the Lockheed F-15E Strike Eagle, the Dassault Mirage 2000 as well as the Rafale (still at project stage at that time), and the Panavia Tornado IDS. 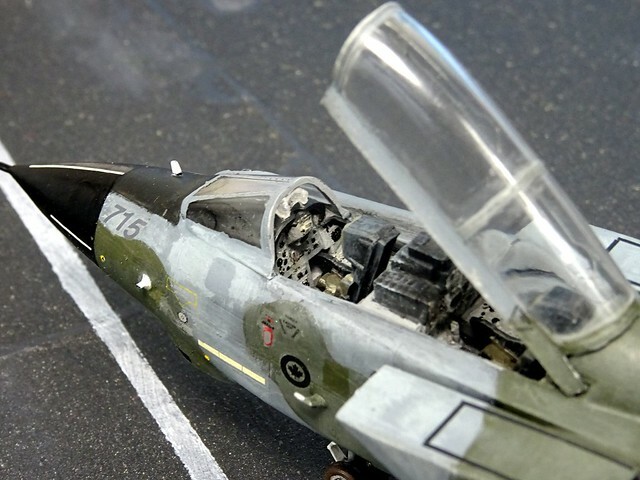 After a lengthy evaluation process, the Tornado IDS came out as the winner, even though rumors persist that the decision was not fully rational. 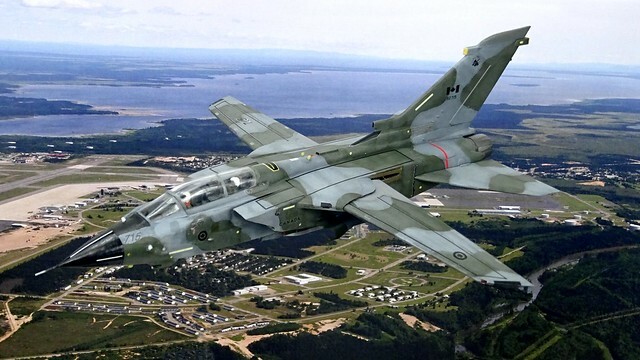 Nevertheless, Canada signed in late 1994 a procurement paper for a total of 56 Tornado attack aircraft, including eight trainers with dual controls but full attack capability. 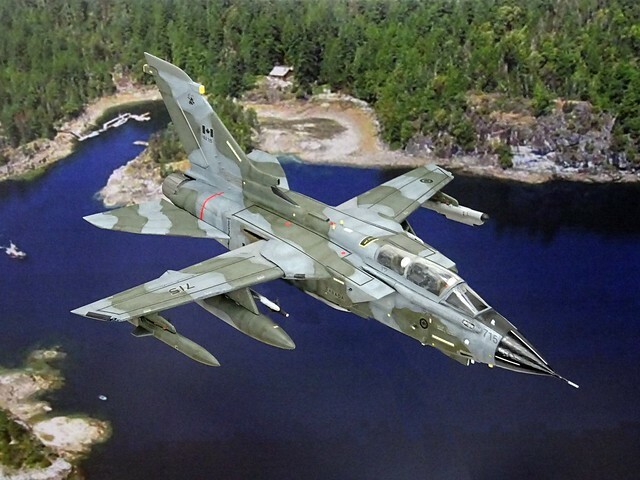 Under the pressure of exploding costs and due to operational requirements from the Canadian Air Force, the Canadian government demanded several detail changes that turned the CAF aircraft into a breed of its own, even though these differences to the European Tornado IDS were not visible at first sight. The most significant change was the replacement of the original Turbo-Union RB199-34R Mk 103 afterburning turbofans with General Electric F414-GE-400 turbofans. With these more modern and more powerful engines (formerly dry thrust of 43.8 kN (9,850 lbf) and 76.8 kN (17,270 lbf) with afterburner each versus 62.3 kN (13,000 lbf) dry and 97.9 kN (22,000 lbf) with afterburner through the F414s) the aircraft’s performance was improved, especially its range and rate of climb, but the Tornado's original and very effective thrust reversers to decrease the distance required to safely land had to be deleted. Instead, a protruding brake parachute compartment was added under the fin's base and the aircraft's tail section was modified accordingly. The aircraft's primary weapon against maritime targets was the AGM-84 "Harpoon" with an operational range of 67 nmi (124 km) and more, using active radar homing and a low-level, sea-skimming cruise trajectory to improve survivability and lethality. Up to four of these missiles could be carried and launched at different targets at the same time, even though normally only a pair of AGM-84s were carried under the fuselage, the inner wing pylons occupied with drop tanks in order to extend range and endurance. 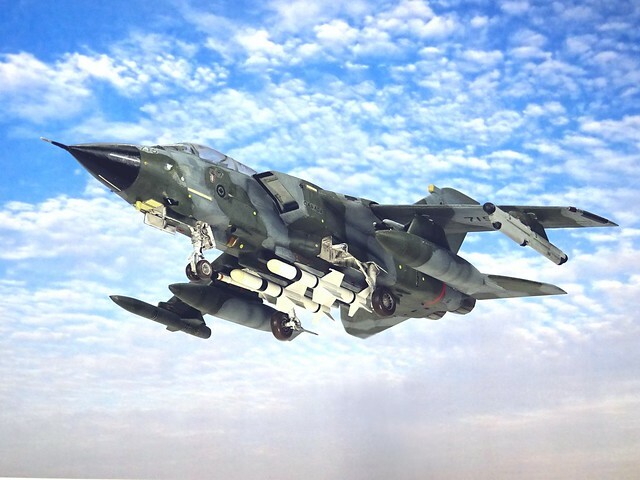 Additional precision weapons with shorter range were the AGM-65 "Maverick" and laser-guided bombs of various calibers, including the laser and GPS-guided GBU-54 LJDAM. Additionally, the AGM-88 "HARM" could be deployed against targets with radar emissions like ships or aerial defense positions. 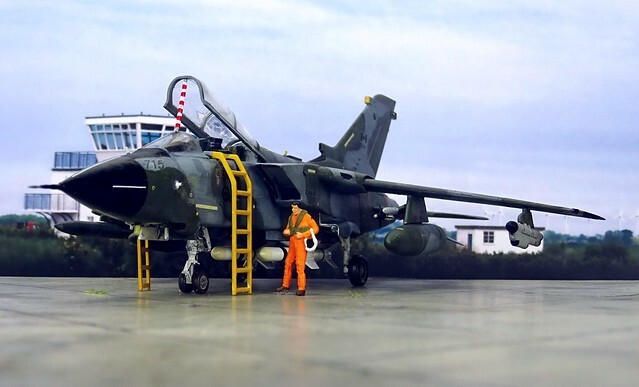 Furthermore, the CAF procured ten refueling pods for the Tornado fleet, so that single aircraft could act as buddy-buddy tankers and extend the potential strike range. For the secondary recce role the CA-182 could, beyond the internal IIS suite, be outfitted with various camera, SLAR and air sampling pods. The internal armament was also changed – the original pair of Mauser 27mm revolver cannon was replaced by a single, lightweight 20 mm (0.787 in) General Dynamics A-50 3-barrel rotary cannon, which fired linkless 20 mm ammunition – another compromise in order to unify logistics with the similar M61 cannon on board of the CAF’s CF-188 Hornets. 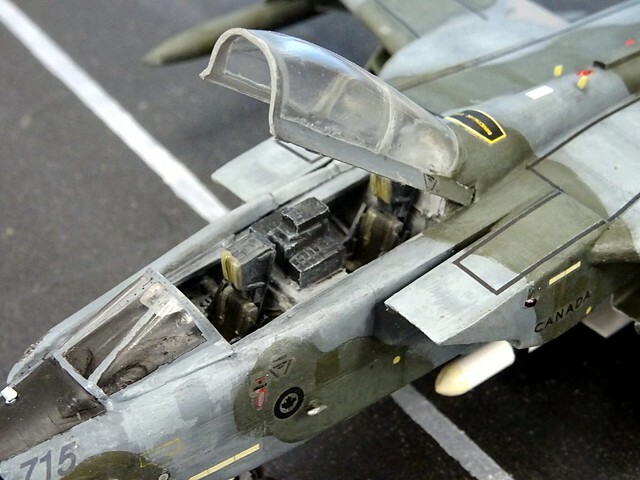 In order to fit the bigger weapon into the Tornado’s lower front fuselage, a characteristic bulging had to be added to the weapon bay’s cover. Other, outwardly invisible changes included the cockpit instruments and avionics systems procured from the USA, in order to improve the technical commonality with the CF-188 fleet and the corresponding training procedures. Special Canadian features included a combined FLIR/laser designator sensor in a fairing under the starboard side, which replaced one of the original gun bays, and an infrared recording system (IIS) in an additional ventral fairing behind the front landing gear well. Further special Canadian features included a wide-angle HUD (Head-up display), improved cockpit displays, night vision devices (NVG) capabilities and a Global Positioning System receiver. 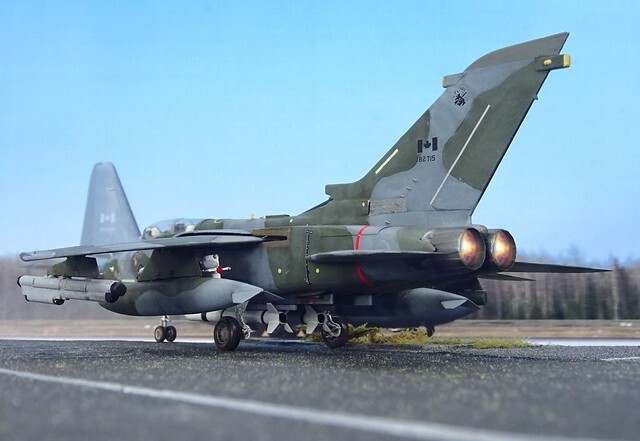 The Canadian Tornados underwent a quick but thorough 2-year development program and were introduced into CAF service in late 1996 with CAF 425 and 433 Squadrons, receiving the official designation "CA-182" with the suffix "A" for the standard fighter bombers and "B" for the dual control variant. 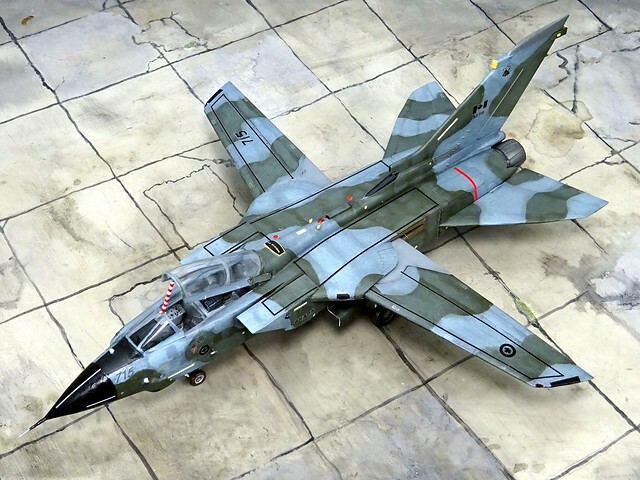 In the end the CAF Tonka looks better than expected, and quite plausible, but the kit was a fight to build. 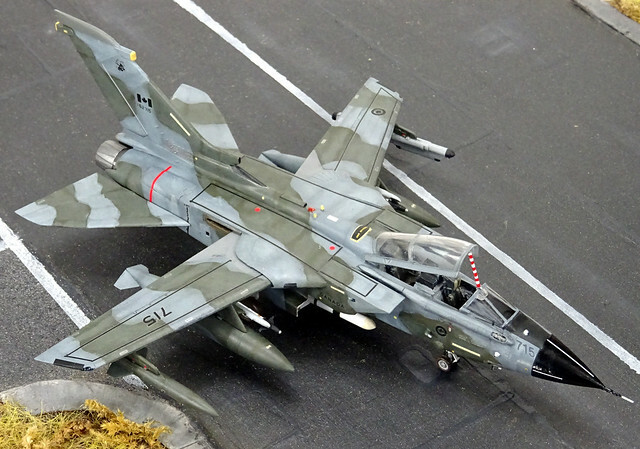 I am not convinced of the Revell kit. 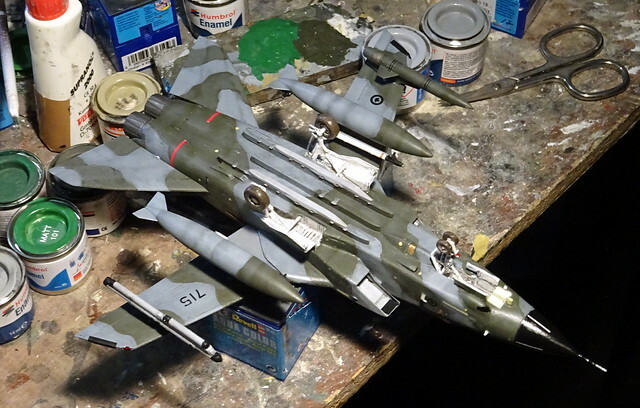 While its has nice details and is, from that perspective, a certain step up from the Italeri kit, I am amazed how many technical flaws and weaknesses it has – and some of these were even taken over from older molds or even made worse! WTF? I am really uncertain if I’d give this kit another chance, somehow I am rather inclined to choose the older Italeri mold. Heyheyhey, look at that! 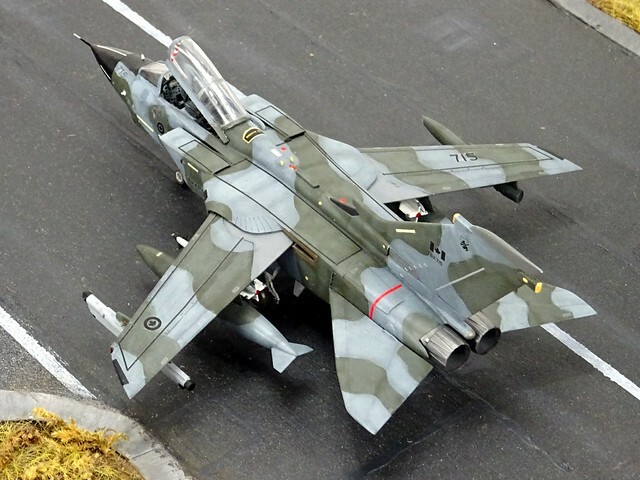 a canadian tonka! Badging is really smooth, You've done a great job! One of your best, simple as that. Thank you, but I'd disagree with the "best" thing. 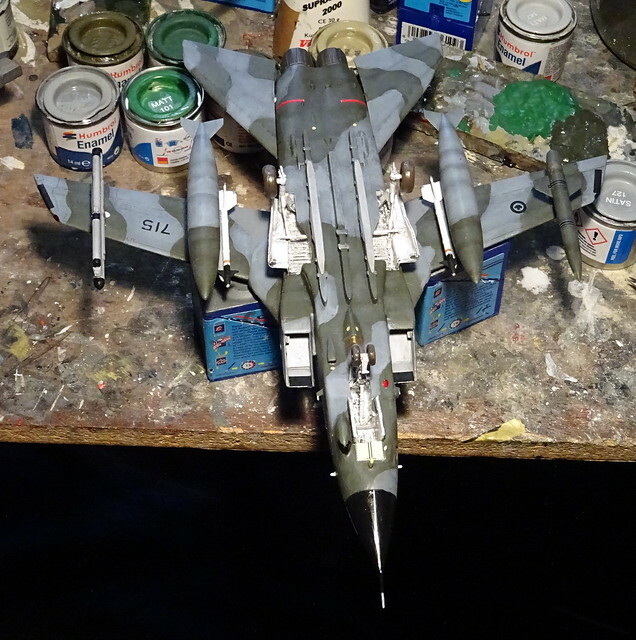 Building this kit was appalling, and as a partly consequence, the finish and some details (e.g. around the canopy, nothing really fits together there...) leave a lot to be desired. The overall impression is good, though, and when set in front of some Canadian landscape the whole thing looks very natural.